Contributed by Misaki Yoshino, Japanese student at ILSC Brisbane. I made many of my friends who I’ll never forget in Australia. At first, it was hard for me to live here because there were a lot of things which I had never experienced like different greetings, behaviour and customs. In addition, I didn’t have any confidence in myself, but I wanted to change in a positive way. 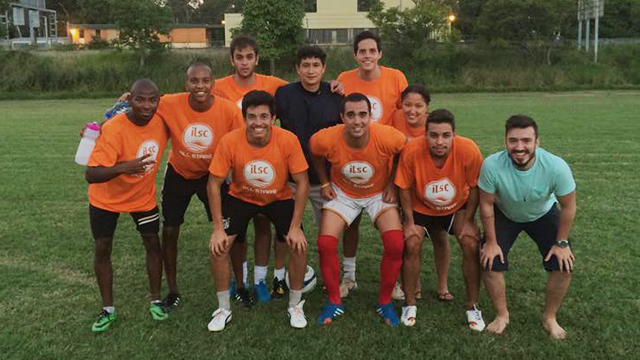 Fortunately, there is a soccer team at ILSC-Brisbane. I really like playing sports and I wanted to try something to give me confidence at that time, so I joined ILSC Brisbane soccer team. After that, I met a lot of ILSC students, especially Brazilians, and now they are my most important friends. Thanks to them, I could enjoy my life in Brisbane and it made me confident because they always rely on me and make me positive. That’s why I always contributed to them as well. Everyone has only one life and time flies quickly, so we need to enjoy each moment in our lives.